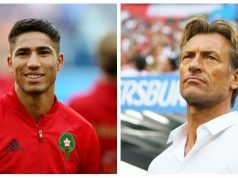 Rabat - Moroccan international footballer Achraf Hakimi has expressed his determination to make Moroccans feel proud again during the 2018 World Cup in Russia. 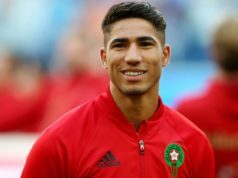 Rabat – Moroccan international footballer Achraf Hakimi has expressed his determination to make Moroccans feel proud again during the 2018 World Cup in Russia. Hakimi, who is a key player for the Moroccan team, made the list of the Atlas Lions who will play in Russia in the 2018 FIFA World Cup. 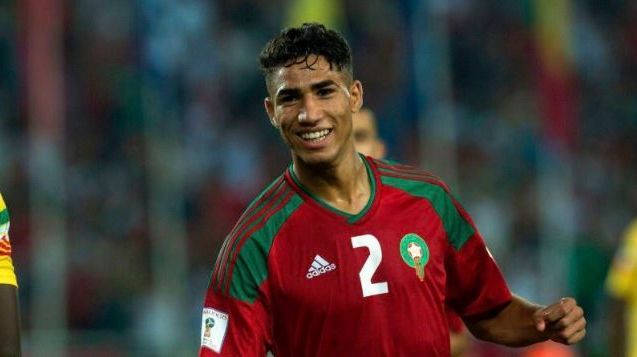 In an interview with Moroccan TV channel Al Oula, the 19-year old Real Madrid football player shared his aspirations and his teammates’ determination to make another successful achievement in Russia. For El Hakimi, wearing the Moroccan kit is a “dream.” The young player addressed a message to Moroccan fans, promising them that he will do his best to make them happy again. 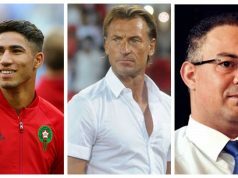 In the qualification round last year Morocco did not lose a game, making all Moroccans proud after 20 years of absence from the FIFA World Cup field. The footballer also talked about players who inspire him, naming his teammate Marcelo Vieira, Moroccan Hajji brothers, and Noureddine Naybet. The Atlas Lions will play their first game against Iran on June 15, and the second game will be against Portugal on June 20. Morocco will play the last game in the first round of the World Cup against Spain on June 25. Hakimi asked Moroccans to support the national team as they did in the qualifier games. 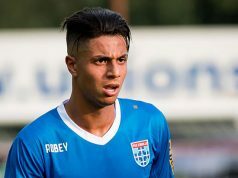 Hakimi has played for Real Madrid for just a short period of time. Recently, speculations on social media said that this season will be the last for Hakimi in Real Madrid. 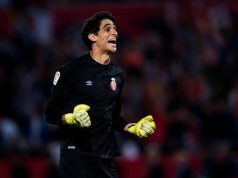 His coach, Zinedine Zidane, however, shut down the rumors and said that the Spanish-Moroccan footballer has a promising future. “Achraf Hakimi, Borja Mayoral and Marcos Llorente have to play ‘20 or 25 games’ next year to continue their development,” said the Frenchman. Hakimi scored his first goal for the Spanish team on December 10 against Sevilla, becoming the first Moroccan ever to score for Real Madrid.